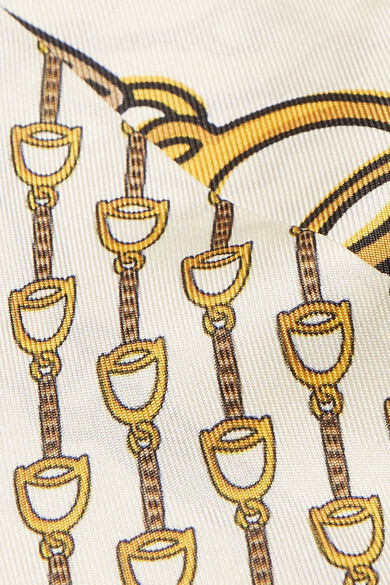 Gucci's scarf is printed with golden stirrups inspired by the house's equestrian heritage. It's been made in Italy from silk-twill that's soft but crisp enough to hold knots or ties. Our stylists like it fastened underneath a shirt collar. 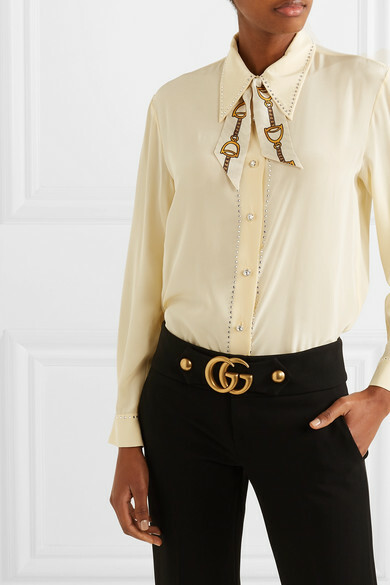 Shown here with: Miu Miu Blouse, Gucci Pants.